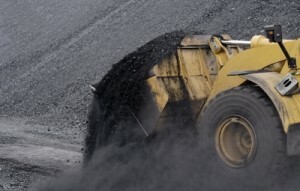 DOL Targets Extractive Industry – Where is HR? 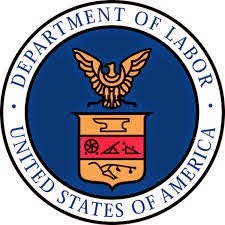 Recently, the Department of Labor (DOL) has been targeting the extractive industry in its enforcement of the Fair Labor Standards Act (FLSA). The result, large settlements. Hutco – paid nearly $2 million in overtime back wages to 2,267 employees for mis-characterizing certain wages as per-diem payments and excluding these wages in their overtime calculations. HongHua America – paid over $680,000 in overtime back wages to 133 roughnecks and crane operators who were improperly classified as independent contractors instead of employees. Company paid them straight time for the hours they worked is excess of 40 in a week rather than time and a half they should have been paid. Justiss Oil Co. – paid $619,830 in back wages to 270 employees for violating FLSA overtime and record keeping provisions by not paying workers for time spent at mandatory staff meetings at the beginning of the day and failing to record the time spent at the meetings. Morco Geological – paid more than $595,000 in back wages to technicians for improperly classifying nonexempt employees as exempt and paid them a fixed daily rate regardless of how many actual hours they worked. Savard Marine Services – paid $60,000 in overtime back wages to 107 employees for mis-characterizing certain wages as per-diem payments and excluded these wages in their overtime calculations. Rigid Oilfield Services – paid $51,839 in overtime back wages to 28 employees who they improperly classified as independent contractors instead of employees. The DOL’s initiative has resulted in $6.7 million in back wages being paid to 4,004 employees in the last fiscal year – Oct 1, 2012 through Sept. 30, 2013. When I look through this list and the reasons for the settlements, I shake my head because its all HR 101 and could have easily been avoided. Where are their HR Departments? Do they even have one? If so, where are they? Are they incompetent or are they just being ignored? Regardless, these settlements should serve as confirmation that these companies should have an executive level HR position. An HR professional at the executive level would have known that these practices are in violation of the FLSA and would have prevented them from happening. I talk to a lot of people in the course of my job as Director of HR and IR/PR at my company. I love to explain the method of mining – in-situ recovery (ISR) – that my company does because it is technologically fascinating, environmentally friendly, and economical. Often when I’m explaining ISR, people wrinkle their noses – and sometimes sneer – at me and say that it sounds just like fracking. I have to explain to them its not but, as a big supporter of fracking (aka hydraulic fracturing), I consider it important to explain what fracking is when I get this reaction. I’ve already written about ISR uranium mining here. Today, I’m going to explore fracking. Fracking has actually been around since 1949 and estimates are that over one million wells have been hydraulically fractured since. The method is used primarily to extract natural gas and shale oil from shale formations that used to be economically impossible to develop. With the recent technology advances in horizontal drilling, fracking has made these formations economical and as started an oil and gas boom in the United States. Today, fracking is being used in the Bakken Shale deposit in North Dakota and Montana, the Barnett Shale deposit in Texas, and the Marcellus Shale deposit in the northeast. Here is how fracking works. A well is drilled straight down until a “kickoff” point is reached where the drillers start to arc off horizontally to reach the shale layer. The well is typically about 7,000 to 8,000 ft deep from the surface to the shale layer and is cased with cement to protect the water table which is at about 800 to 1,000 ft deep. Once the shale layer is reached, the horizontal drilling continues for about 3,000 to 4,000 ft. Production casing is inserted into the horizontal borehole and then surrounded by cement. Charges are then detonated inside a perforating gun that blasts small holes into the shale. At this point, a pressurized mixture of water, sand (proppant), and chemicals are pumped into the well at about 4000 gallons per minute. This action generates many small fissures in the shale which frees the trapped gas and oil allowing it to flow out of the well and to the surface where it piped to the market. Its important to note that the water table is no more than 1,000 feet down and the fracking is occurring 7,000 to 8,000 feet down. I doubt the fissures are reaching the water table 6,000 to 7,000 feet away. I mention this because those who oppose fracking claim that the method contaminates drinking water by leaching the chemicals and methane into the water table.